The basic work of the National Council is to meet and discuss, deliberate and take decisions relating to the Union. It also performs other functions prescribed in the Constitution of the Union. The National Executive Committee (NEC) is a seven member committee, that runs the day day activities of the Union. The NEC is chosen from the Coordinating Branch, whose turn it is to host the National Secretariat for a period of two years. 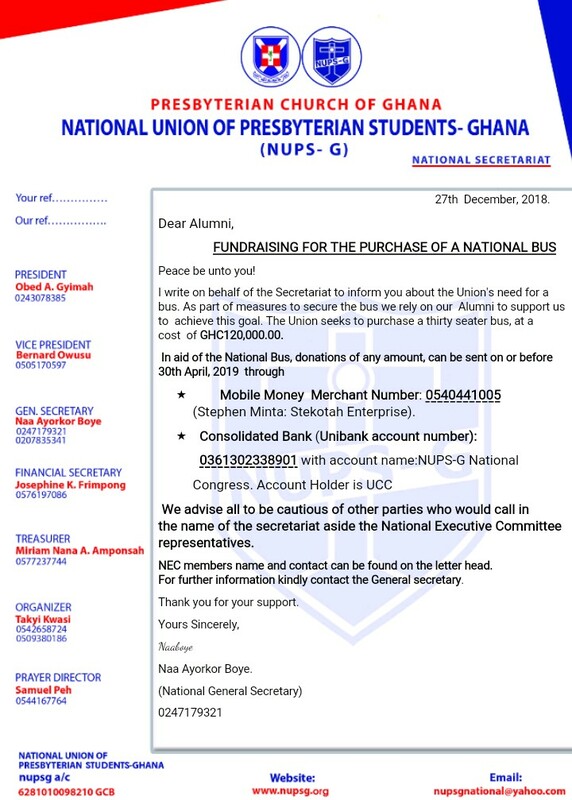 The current executives are from the University of Ghana Coordinating Branch because they host the National Secretariat seat. The NEC omprises of seven portfolios.